Once a hazy town nestled in the foothills of the Pyrenees Mountains, Lourdes has shed its obscurity and become a famous pilgrimage destination in France. With an annual influx of 2 million pilgrims, Lourdes is an important tourism centre in France. Attractions include the Sanctuary of Our Lady of Lourdes, Rosary Basilica and the Château fort de Lourdes. Be enchanted by unpretentious French romanticism and sacred tradition with cheap flights to Lourdes. The closest major airport to Lourdes is Tarbes–Lourdes–Pyrénées Airport (LDE), which is a 20-minute drive from the centre of Lourdes. Lourdes is a beloved Catholic shrine. 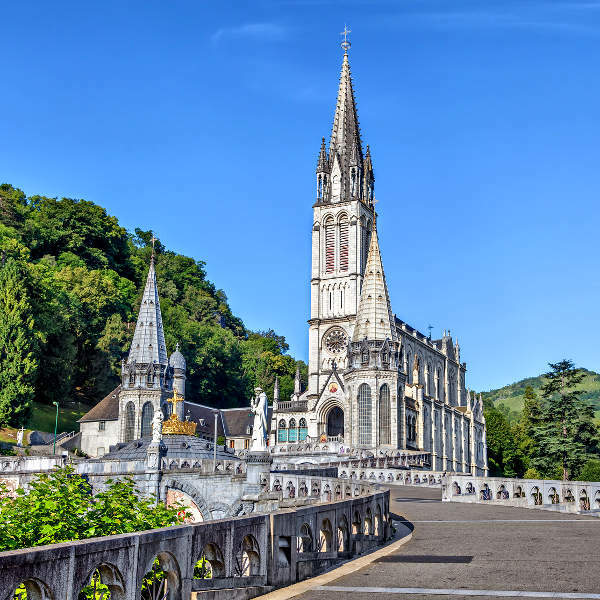 Explore sacred pilgrimage sites such as the Sanctuary of Our Lady of Lourdes, or embrace the revelry of the Festival International de Musique Sacrée. 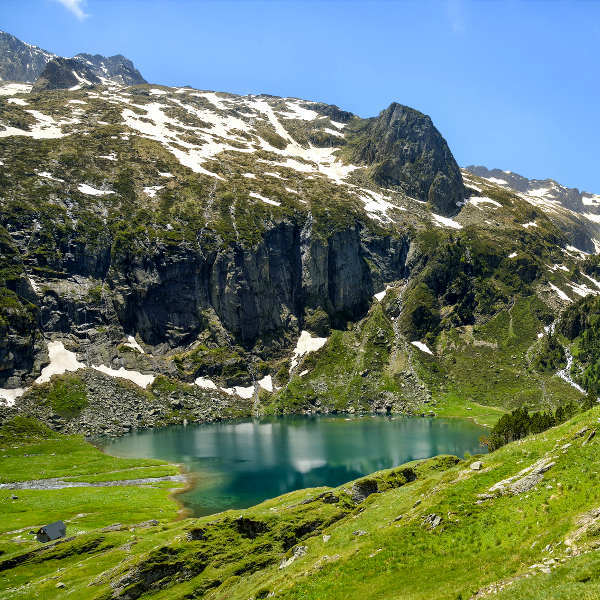 The Pyrenees Mountains invite you to get away from the thrum of the city and witness heavenly scenery. Discover cascading waterfalls, gleaming lakes, dramatic gorges, emerald valleys and soaring peaks. France is a veritable utopia for wine and food lovers. 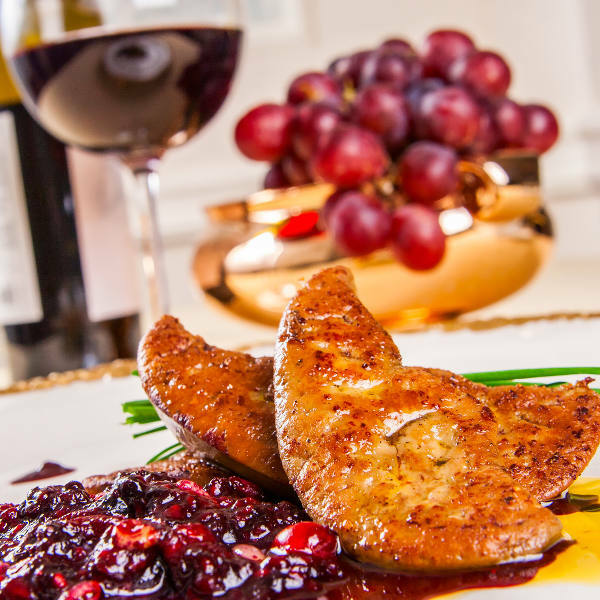 Try wine from some of the best wine regions in Europe and indulge in culinary masterpieces such as foie gras. Lourdes experiences a warm and temperate climate, average temperatures ranging from 24 degrees Celsius in summer to 0 degrees Celsius in winter. The city experiences significant rainfall throughout the year. The best time to visit Lourdes is summer (June to August). These are the warmest and driest months of the year. With pleasant temperatures and moderate rainfall, the autumn months (September to November) are also a good time to visit Lourdes. For cheap flights to Lourdes, the best time to visit is between November and March. It is important to note that some hotels do close during the low season. As one of the most important Catholic pilgrimage destinations in the world, the city of Lourdes, on the foothills of the magnificent Pyrenees Mountains is a place of sacred divinity. The sleepy town, once known only for the Château fort de Lourdes, shed its obscurity in the mid-1800s when the Virgin Mary visited a poor shepherd girl named Bernadette Soubirous. Since then, the city of Lourdes has been the site of numerous miracles and attracted religious travellers from far and wide to its holy shrines. However, the city is also one of the most beautiful cities in France. A shimmering canal threads its way between quaint Baroque architecture toward the wild inclines of the Pyrenees Mountains, where historical castles perch on jagged peaks and nature sings hymns of splendour and tranquillity. Lourdes invites you to explore the rich history of Europe, luxuriate in the invigorating caress of nature and feel the warm glow of divinity in the picturesque southern stretches of France. Compare several airlines, and book your cheap flights to Lourdes online at Travelstart! Although Lourdes is considered a safe city, crime does happen. It is advisable to take certain precautions and maintain vigilance as you would in any other unfamiliar city. Travel insurance to cover theft and medical expenses is recommended. Avoid public demonstrations and rallies and maintain vigilance in large crowds. Avoid carrying large sums of cash and important documents, as pick-pocketing and bag snatching can happen.